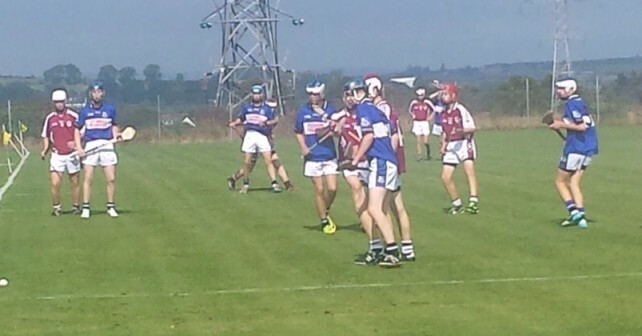 Sarsfields U15s had to withstand a strong second half Bishopstown rally at Delaney Park today. In the end a Chris Kelleher point in injury time edged Sars home and maintains their interest in the championship.Manager Keith Mulcahy will be pleased with the work rate of the lads, with excellent keeper Ben Graham marshalling a tenacious defence. An industrious midfield supplied good ball to a forward line which saw Dylan Walsh accounting for 2-7 of his side’s total. Killian Murphy & Eamon Doyle were trojan workers in this sector. Well done lads.